Keep Fruits and Vegetables Fresher...Longer! Rising your produce with water alone just isn't enough. Take food safety into your own hand with all natural, safe and effective Eat Cleaner, the only patented, all natural fruit + vegetables wash that washes away bacteria, pesticides and wax and helps your produce last up to 200% longer. To Use: Pour entire 6 oz. bottle into empty 12 oz. 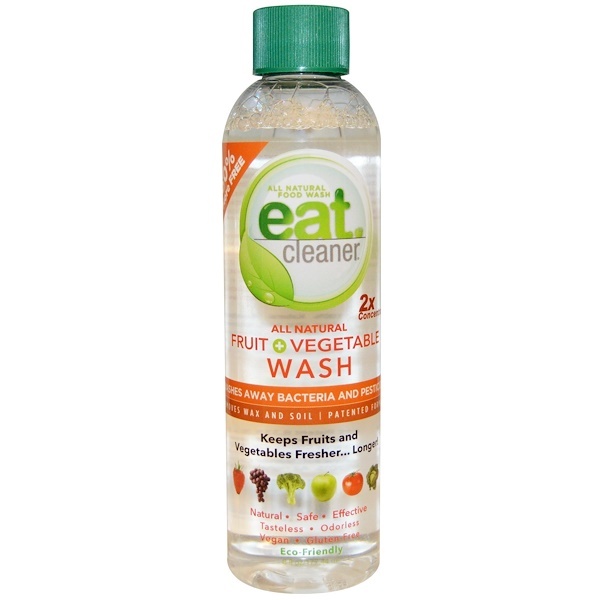 bottle of Eat Cleaner. Shake thoroughly before use. You can also pour 3 capfuls into a small bowl of water and soak your produce for 2-5 minutes. 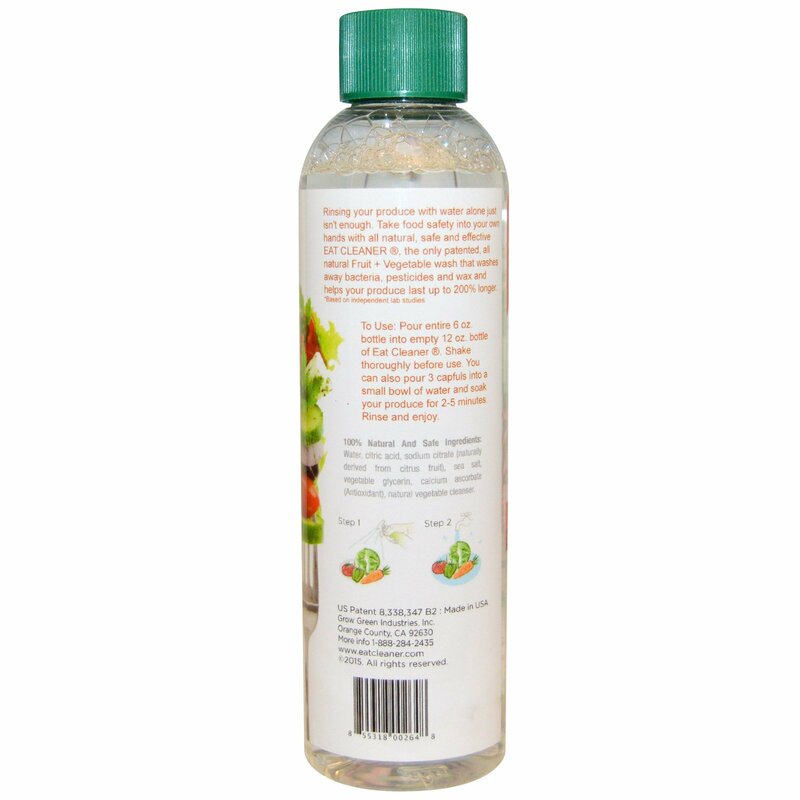 Water, citric acid, sodium citrate (naturally derived from citrus fruit), sea salt, vegetable glycerin, calcium ascorbate (antioxidant), natural vegetable cleanser.